The Search Engine report provides a complete data summary of search engine results, organized by keyword or domain for ease in comparing results with those of the competition. Search traffic visits for keywords are included, if your campaign is connected to a Google Analytics account. All Search Engines (if selected in the report options) are displayed in one table side-by-side instead of separate tables for each search engine. In Single Domain View, the rank for the selected search engines is displayed for the primary website being tracked in the campaign. The report has options to show or hide most columns, and sort by the data type you prefer. 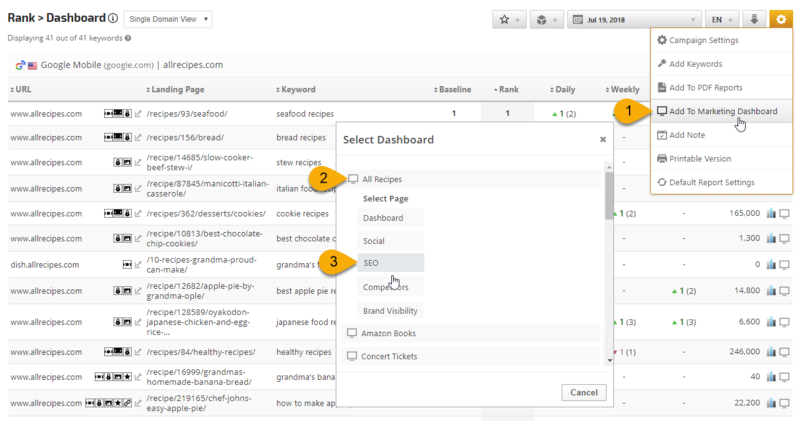 You can also click the funnel icon at the top of the table and filter the data. In Competitive View mode, any or all of the campaign's tracked competitor URLs can be viewed and compared to the primary domain. In this example, in addition to the Domain URL, Search Engine Name, Best Rank, Average Rank, Ahrefs Indexed Pages & Domain Backlinks columns, the option to highlight the primary domain has been set to Show, and makes it easier to identify the client's rank compared to the competition. The Search Engines report can be customized using a wide variety of report options and added to a white label Marketing Dashboard, Client Dashboard or scheduled PDF report. 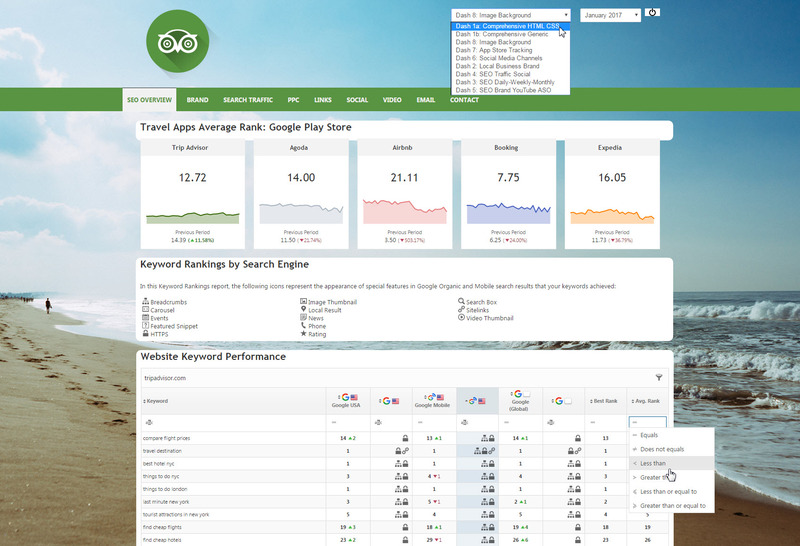 In this example, Google Play Store rank metric widgets are followed by a text box that explains the SERP icons that display in the Search Engines report on the page. The report search funnel was expanded to filter the Average Rank column. PPC Competition: represents a domain's ranking based on the number of advertisers bidding on each keyword. Hover over the High/Medium/Low result for actual percentage. Majestic: Trust Flow is a Majestic SEO flow metric, which is weighted by the number of clicks from a seed set of trusted sites to a given URL, or Domain. Important: When you add keywords to a campaign you need to open Report Options and check the boxes beside the new keywords or click the Reset button to display all keywords in your report. The number of keywords currently included in your report displays directly below the report title where you'll find the words "Displaying # out of ## keywords" for your convenience. That calculation comes from the settings you select here. 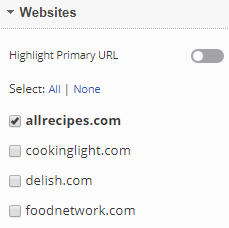 Show or Hide the option to Highlight Primary URL (campaign domain) in the report. When viewing the report in Competitive View, setting this to display provides a visual highlight of the primary website's rank results. Important! In order for data to display in these columns, the campaign must be connected to a Google Analytics account. Display a Date by moving the slider to the right. Display a Search Engine Name by moving the slider to the right. Display a Website by moving the slider to the right. Display Current Rank by moving the slider to the right. Display a Best Rank by moving the slider to the right. Display a Worst Rank by moving the slider to the right. Display a Common Rank by moving the slider to the right. Display a Average Rank by moving the slider to the right. Display a SERP Features Icons by moving the slider to the right. Display PPC Competition by moving the slider to the right. Display a Majestic: Indexed Pages by moving the slider to the right. Display a Majestic: Domain Backlinks by moving the slider to the right. Display Majestic: Citation Flow by moving the slider to the right. Display the Majestic: Trust Flow column by moving the slider to the right. Display a Ahrefs: Indexed Pages by moving the slider to the right. Display a Ahrefs: Domain Backlinks by moving the slider to the right. Sort Options: select the Sort Field that you prefer and the Sort Direction. Group By option: allows you to group by Domain (for viewing 1 table per keyword including competitor domains) and Keywords (for viewing 1 table with all keywords for 1 domain). Positive & Negative Changes: only keywords that have a positive or negative change will be displayed in the report. Only Positive Rank Change: only Keywords that have a positive rank change will be displayed in the report. Only Negative Rank Change: only Keywords that have a negative rank change will be displayed in the report. Positive & No Rank Change: only Keywords with a positive rank change or Keywords without a rank change will be displayed in the report. Negative & No Rank Change: only Keywords with a negative rank change or Keywords without a rank change will be displayed in the report. No Rank Change: only Keywords that have not changed rank will be displayed in the report. Select a Search Engine from the menu. Display Tags in a report column by moving the Show Keyword Tags slider to the right. Filter the report by Tags by selecting specific tags. When choosing to display competitor domains in the report, you have the option to Highlight the Primary URL by moving the slider to the right. Select all or some of the Domains by adding or removing the check mark next to the Domain. Display Analytics Visits (month) and Analytics Visits (24h) by moving the slider to the right. Click the gear icon to access the report's settings, expand each section that you want to change, and click the Save button. 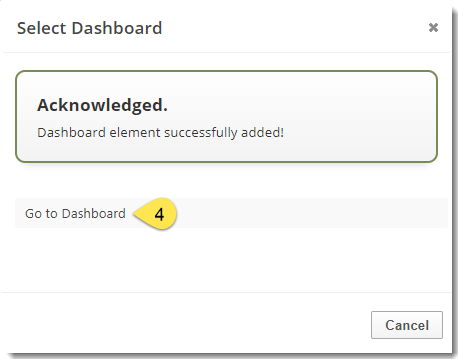 Additional display columns can be included by toggling the your choices to "on". Select specific Tag(s) to filter the report results by: use the All or None link for quick selection or individually check the boxes beside the keyword tags to be included in the report. Show or Hide the option to Highlight Primary URL (campaign domain) in the report. When viewing the report in Competitive View, setting this to Show provides a visual highlight of the primary website's rank results. To emulate the Competitive View that you see for this report in the user interface, select Group By Keywords, and show the Domain URL column in the General Settings section. Important! Click the Save button to apply the changes.